Chestnut Chocolate Spread Recipe | Simple. 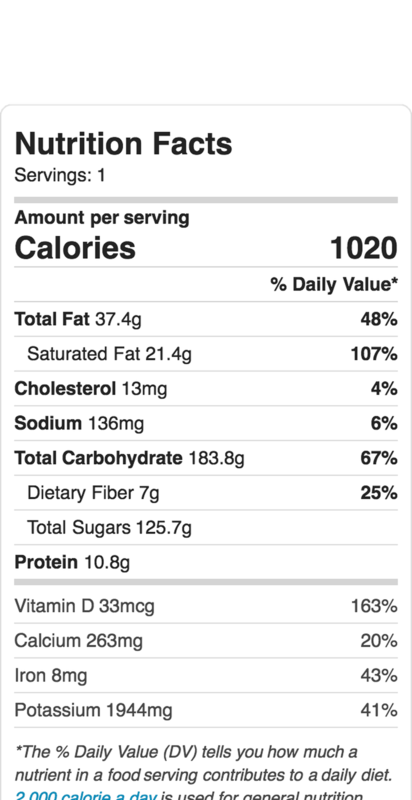 Tasty. Good. How on earth did I suddenly come up with this chestnut chocolate spread? I bumped into this lovely homemade (vegan) hazelnut spread recipe on Google+ yesterday and even though I had made up my mind to change the almond milk for whole milk I came to realize my hazelnut jar was almost empty except for a couple of silly buggers, not enough for my recipe. No panic, I roasted off a badge of fresh chestnuts 2 days ago so I grabbed some of those and went to work. I adapted the original recipe quite a bit (didn’t pin it and this morning it was nowhere to be found anymore) but I finally came up with something pretty edible… Delicious I mean! Store the spread in an airtight jar for 7 to 10 days. If it will last that long. Love cooking with chestnuts? Then also check out my chestnut cupcakes! 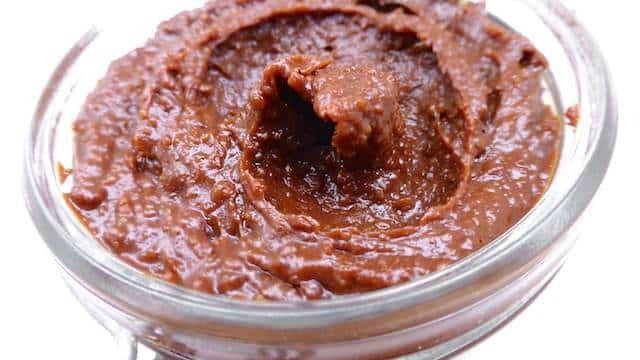 Here is my homemade chestnut chocolate spread: a wonderful breakfast spread for your sandwich or toast to start the day with! Peel the chestnuts carefully. Add the chestnuts to a saucepan and pour in the whole milk. Place the pan over medium heat and bring it to a gentle boil. 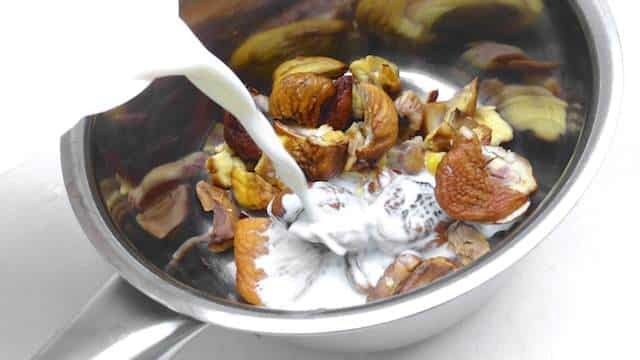 Cook the chestnuts for 10 minutes until they are soft and the milk has almost disappeared. Stir regularly. In the end turn the heat lower and add the brown sugar and a pinch of salt. Stir well. 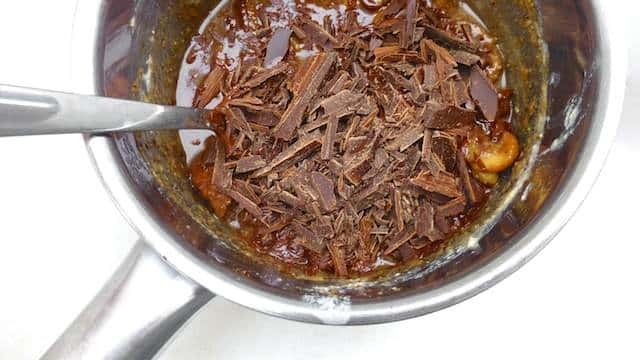 Then chop up the dark chocolate and add it to the chestnuts in the pan together with the vegetable oil. Stir well again and let the chocolate and sugar gently melt and dissolve. Stir regularly. Once that is done, take the saucepan off the heat and let the chestnut mixture cool down a little. 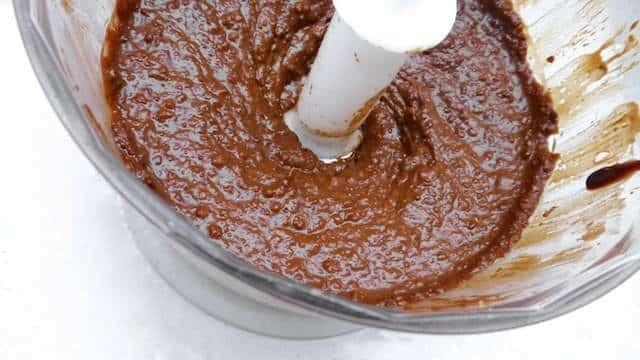 Then pour the chocolaty chestnuts in a clean blender. Pulse firmly into a thick and chunky paste. 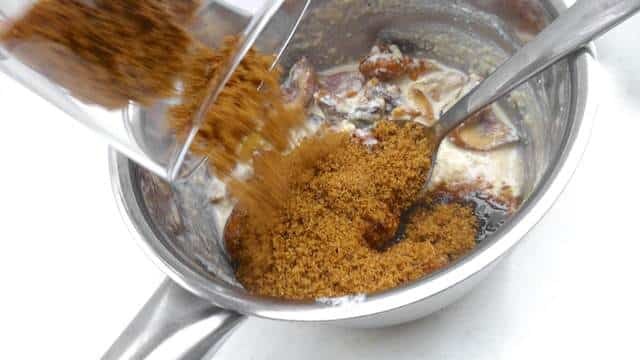 Then check the seasoning and add extra brown sugar or salt to taste if necessary. 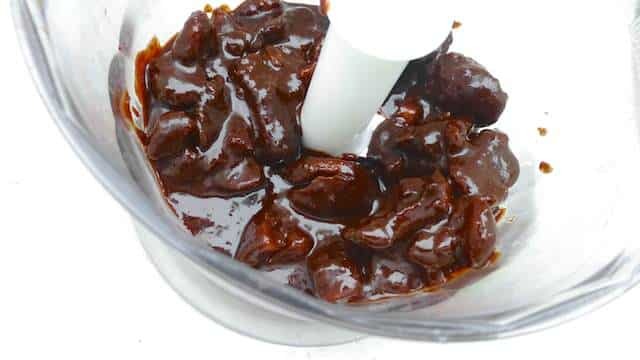 Pour the chestnut spread in a tightly sealed glass jar and then store it at room temperature.